If you ever have the opportunity to spend some time under this tree, take it. It has been said that it magically transports you to the world of the faeries! My first meeting with this tree was at a concert in Loch Lomond. I remember being in awe of its huge presence, rooted in the field, surrounded by crowds of noisy, drunken people. As I sat under the tree, in the middle of the crowds, I was taken somewhere else….to a quiet, still land of bliss. Recently I was reminded of its power and presence during aherbal tea tasting; again, right in the middle of a busy music festival. The atmosphere in the jam-packed space was quite intense, however, the moment we began the tasting it felt as though we were covered in an invisibility cloak and an air of stillness was created. The sense of ease, like the gentle movement of the leaves in a breeze, reined over all the busy-ness and noise which lay at the edge of our tea tent. The transformation was remarkable. Tilia seals one into a sense of grace, giving the over active mind a rest and initiating time out of the rational to relax in the gentle breeze of ease. It is the out breath that releases our stresses. It is clear that this is a medicine that creates ease during times of stress and chaos, and may be helpful especially if this state is causing a physical disease. One source notes Tilia as a “thymoleptic” which means it “takes hold of the emotions”.I’ve observed the power of its emotional support many times even for those in extreme states of stress such as bereavement or separation. An infusion of the herb, preferably in a tea pot, with some time out to let it do its magic can be all that is needed to bring us back to our selves. Its affinity with the heart is both emotional and physical. Tiliadilates the coronary arteries (when blocked causes the crushing pain of angina pectoris) and is also known to repair blood vesselsand reduce cholesterol build up and hardening of the arteries. The relaxation of smooth muscle in combination with clearing and repairing the blood vessels also make it a beneficial medicine for high blood pressure (hypertension). I have seen it used in combination with herbs such as Hawthorn and Yarrow for treating hypertension and improving the health of the arteries to prevent serious heart problems e.g. myocardial infarction **. 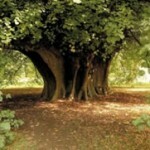 Tilia is an excellent remedy for children. Like Chamomilla it can bring calm to restless, excitable children and can ease wind, colic and even diarrhoea (for child doses see below). When taken hot the infusion is diaphoretic (increasing blood flow to the skin and inducing sweating). It can therefore be helpful to support the body cool down. When taken warm to cool it acts as a diuretic which helps to clear fluids (and waste products) via the urinary system and is also helpful if there is a urinary irritation which has been aggravated by stress. Tiliaeuropea is a truly preciouspacifier and healer. Keep an eye out for the trees when they start to waken up again in the spring…and if you can, give yourself some time out for some deep relaxation and healing. Inflorescense (including bracts) – fresh or dried. Harvesting the flowers, like most others, is best early in flowering or just before the flowers have opened fully. 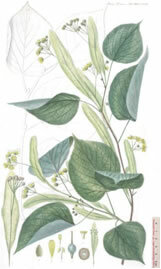 I prefer an infusion of the flowers, however, Tilia can also given in tincture form. Dose of tincture depends on individual situation and whether it is in combination with other herbs, therefore it is best to consult a herbalist. Infusion: 1-2 teaspoonful’s of dried herb to one cup of boiling water – infuse for 10 minutes and drink one cup three times a day. For younger children I would recommend adding the infusion to their bath water (half a cup for a baby bath size, one full cup for large bath). If breast feeding the nursing mother can drink the tea at the adult dose and the herbs will be given through her milk at the correct strength for her child. The miracles of nature! **I consider it our birth right to have knowledge of plant medicines to be able to heal ourselves and our loved ones. However, it is important to recognise when a health professional is needed. All information given is intended to encourage people to explore the world of plant medicines, and empower them to take responsibility and ownership of their own healing. If you have any queries about using plants as medicines refer to a qualified Medical Herbalist. GREEN, J., 2007. The Male Herbal – 2nd Edition. Berkley: Crossing Press.